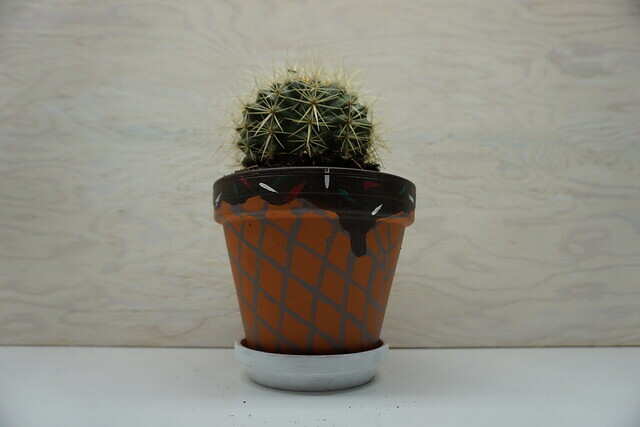 Yes, I know the Ice Cream Cone Planter is a simple project and I'm clearly no artist but I'm sure you get the point. I'm just surprised I haven't seen this anywhere before. The large sheet of paper is just so you don't get paint and dirt all over the place. I started by painting the tray white so it looks more like chinaware. Set it aside and let it dry. 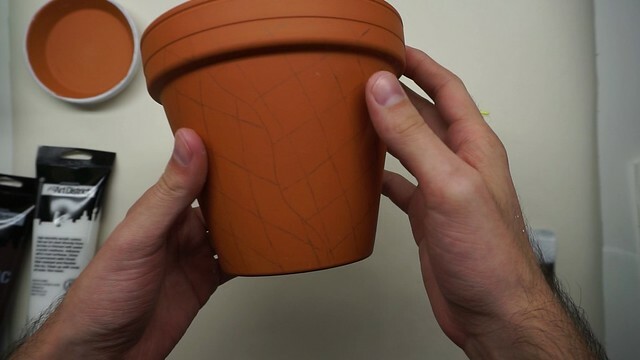 Use the pencil to sketch a waffle pattern on the pot. Don't worry if your waffle sketch doesn't line up perfectly. Just like a real waffle folded over on itself, it's not supposed to! 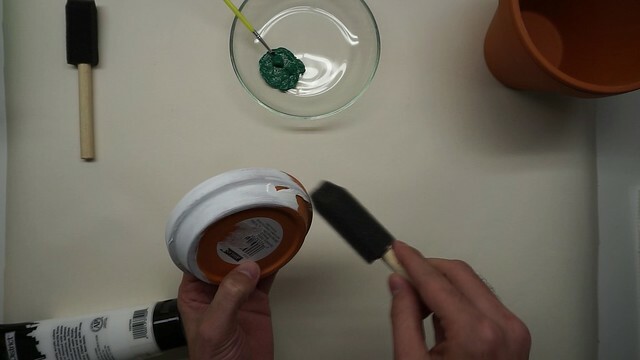 Mix brown and white paint to get a lighter brown. My brown turned out more of a grey. Don't be me. 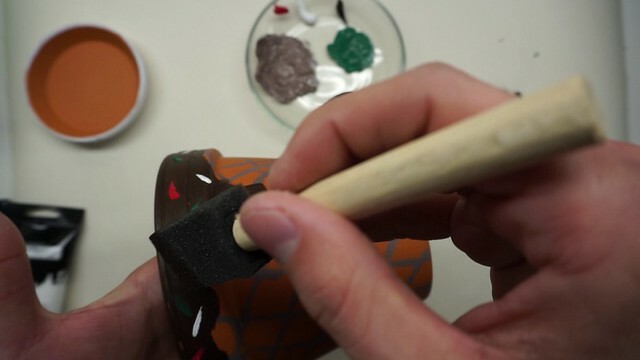 Paint over your waffle sketch and let it dry. 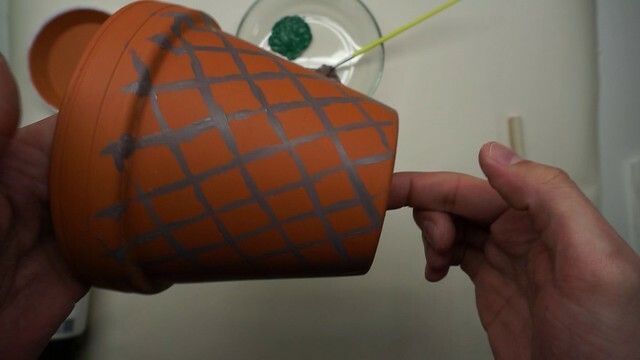 Use brown paint to add some fudge on top. 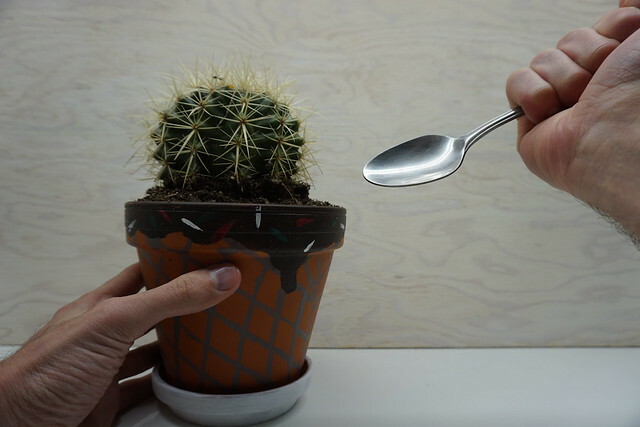 Let it dry for a little bit before adding the sprinkles. 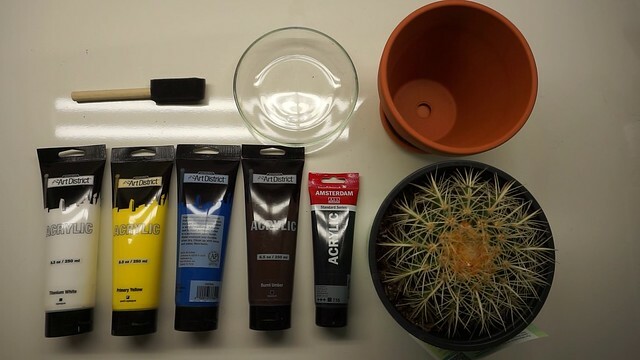 Yes, blue and yellow do mix to form green. 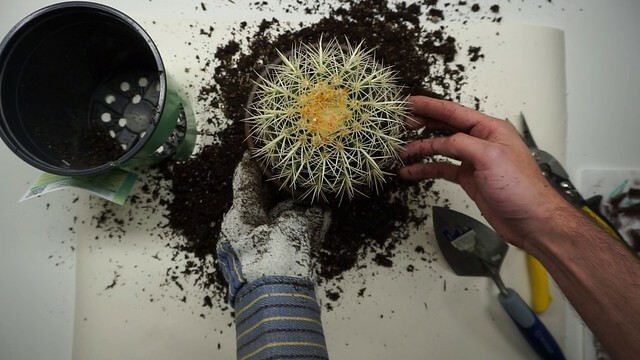 Use a glove if you're transplanting a cactus. 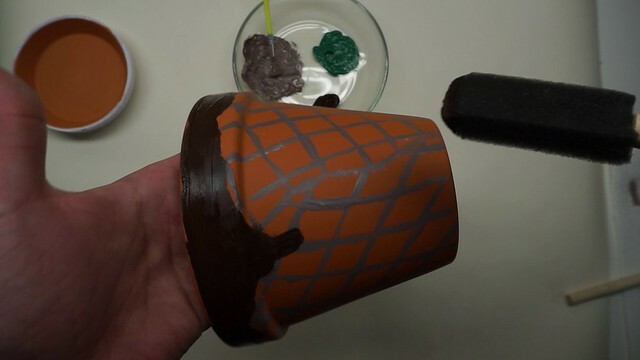 Carefully remove dirt from the base to achieve the proper fit.